It's IWSG Wednesday! 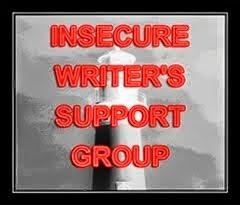 The Insecure Writer's Support Group is an awesome group of writers who post every first Wednesday of the month to share their ideas, struggles, and insecurities. Check out the group here! Thanks to the co-hosts for December: Heather Gardner, T. Drecker, Eve E. Solar, and Patsy Collins. So, this month: I won NaNoWriMo, which left me with a 50,000-word mess of a first draft. Leaving aside the mess, the things I learned about my characters, the list of reading for research--all of them are typical for me after finishing a first draft--I feel like I'm poised on a threshold to a new plateau of writing. "Show not tell" has always been a bit difficult for me, not being the naturally descriptive type. It's not quite right to judge a first draft--particularly a NaNo first draft--on its quality, but I did. I've been reading a lot of books back-to-back throughout the year and recently, I've been reading through Diana Gabaldon's Outlander series--and her vivid writing, of characters, of setting, of evoking the senses in description--has been reinforcing things I've read in writing forums and writing books for years. Except that now, I can see a way to make my writing like that. Maybe. I hope. Finishing NaNo is brilliant! Concentrate on that, not the quality - you'll improve it massively in the next draft I'm sure. Well, that was kind of the point :-) But even more than improving just this draft, I'm seeing how I can improve my writing overall. Good luck sorting out your first draft mess. Congratulations on your NaNo success. I striving to be brave next November and to take it on. Thank you! NaNo isn't for everyone. It helps me keep the Inner Editor at bay during a first draft. Yeah!! Celebrations for finding your path up to that next level! I was going from reading Drum of Autumn to my first chapter to add something in in the last few days of November and seeing the difference--not in style, because obviously, I don't write like Diana Gabaldon, but in seeing how she uses details and sets up scenes and gets into her character's minds. It clicked, finally. I suppose. It's just that sometimes, you're not always sure how to go about improving...and then something will just click. The Outlander series is really great for its description.. I haven't picked up the latest book yet. 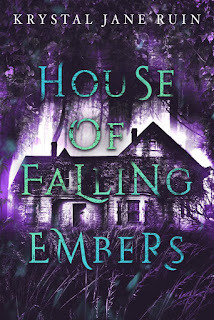 Will likely wait until it's on audiobook and listen to it like I did most of the others.. I think I'm best at dialogue. So my characters tend to talk a lot. I'm in the middle of The Fiery Cross right now. Congrats on winning NaNoWriMo! It's a huge accomplishment. Maybe give your draft a few weeks to settle before you start picking it apart. A little time away will help you see it with new eyes. Diana is awesome. She attends the writing conference I go to, and is so sweet and pleasant. I love that she still makes time to go, no matter how busy she is. Well, it's resting at the moment because I'm getting back into research the historical bit and I need to have a good think over the modern day half. Plus, I work retail and holiday season is not the best time to be ripping apart a draft. Oh, that's so great that Diana makes the time to go to your writing conference. She always seems really friendly on her Compuserve forum and Facebook posts. Woohoo! Congrats on winning your NaNo! It's always a great thing to accomplish such a huge goal! As far as showing and not telling, it can be challenging! I find that exposition can be done in many number of ways from dialogue to internalization. It can be tricky. Thank you! It's more that I don't seem to be able to describe things as deeply or as well as I want to through my character's eyes. First drafts are supposed to be a mess -- I found that my NaNo draft is messier than most, but I also know all sorts of things about my characters that I wouldn't have gotten to if I kept to a tighter write... Congrats on NaNo! I started writing mine out of chronological order, so it's truly a mess right now! I have that same problem, but it's because I'm a visual thinker. When I imagine a scene, it plays out as movie in my head, so picking the right words can be tricky. Hopefully, you find a way that works for you and rock those descriptions. Well, congrats on winning! I always found a bit baffling that "show don't tell" thingy. Then I started reading with writers' eyes and voila! The meaning and mechanisms behind the words became clear to me. I still struggle trying to put it to work, but at least recognizing where lies the problem is the first step, right? Thank you! I've known it was a problem for a long time, but finding the correct balance has been a trial and error sort of thing, like most of writing. Congrats on winning NaNo. Have fun whipping that puppy into shape.